Onalaska, Wis. — The Wellness Council of America (WELCOA), with local affiliate Wellness Council of Wisconsin (WCWI), recently presented its coveted Small Business Well Workplace Award to Allergy Associates of La Crosse (AAOL). AAOL is an internationally-recognized allergy clinic in Onalaska that helps patients treat the root cause of their allergies through allergy drops taken under the tongue, also known as sublingual immunotherapy. The Well Workplace Award was given to AAOL to honor its commitment to the health and well-being of its employees. This award was presented to AAOL after the clinic achieved ten strict qualifications that relate directly to wellness, including designating a company wellness leader, providing an opportunity for health screenings, and holding healthy eating in-services. By completing these steps, the company has made a commitment to the overall health of its employees, and is now considered one of America’s Healthiest Companies. Emily Melby, RDN, and Wellness Coordinator at AAOL, has worked for three years to create and grow the employee wellness program. Melby has implemented new programs such as monthly workout challenges, onsite fitness classes, arranging speakers on a variety of health topics, building an organic straw bale garden, and cooking demonstrations to encourage and facilitate wellness at AAOL. “I am very grateful to have the opportunity to assist in the creation, maintenance, and continual effort to improve our employee wellness program and ensure our employees have the tools required to make the healthy choice an easy choice. All of the hard work has resulted in the great honor of receiving the WELCOA Small Business Award and I am very proud of this achievement,” Melby says. AAOL is a part of a bigger movement in La Crosse County. Nineteen other businesses in the county have received or are working toward the award process. If 20 companies achieve the Well Workplace Award, La Crosse County will be named a Well County. Only 14 communities in the United States have received this designation. “AAOL has clearly demonstrated their commitment to protect and enhance the health and well-being of their employees. 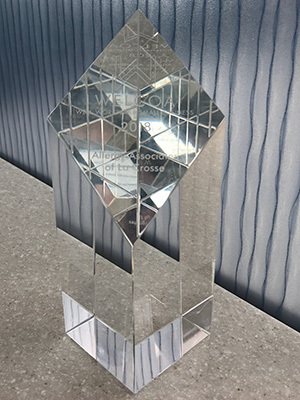 By meeting the comprehensive standards necessary to achieve the Small Business Well Workplace Award, AAOL is prioritizing the well-being of their employees as a foundation of their clinic’s culture,” said Wellness Council of Wisconsin’s Executive Director, Marissa Kalkman. 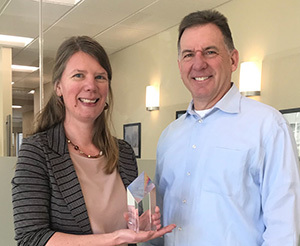 Since WELCOA’s inception in 1991, over 1,000 organizations, ranging from educational institutions to non-profit and for-profit sectors have joined the list of “America’s Healthiest Companies” by receiving the Well Workplace Award.